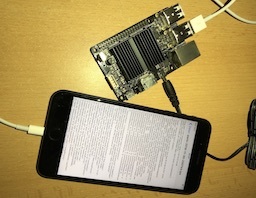 For years the SektionEins and Antid0te iOS Kernel Exploitation Trainings have been so successful that former trainees, tricks, techniques and vulnerabilities from the training have been directly involved in the making of some of the public iOS jailbreaks up to iOS 10.2. Even the public iOS 11 jailbreaks use techniques that are also taught in our trainings. Furthermore several of our former attendees can now be seen credited by Apple for security bug fixes in recent iOS and OS X releases or even joined Apple as employees. However Apple's internal development of the iOS kernel never stands still and they keep adding new security mitigations to defeat previously used attacks. With the upcoming release of iOS 12 Apple introduces a huge number of security relevant changes to the iOS kernel, from the binary layout to the implementation of the the kernel heap, the sandbox and code signing. iOS researchers have e.g. called it the biggest modification to the iOS kernel heap in a long time. Our training will discuss all these changes in iOS 12. This training is at the end of September 2018. It will be happening in Singapore and was redesigned by our Singaporean partner company Antid0te SG Pte. Ltd. to contain new material that builds on top of more public vulnerabilities that were made public in recent years and the correspondign public exploit source code. It is a full 5-day course and is targeted at exploit developers that want to switch over to iOS and could not come to our training course in Germany. The goal of this training is to enable you to exploit new vulnerabilities in the iOS kernel that you discover on your own. The following list of topics shows what is usually covered by the course. The whole training material (multiple hundred slides) will be handed to the students in digital form. Trainees will get a license for our software and scripts that are used during the training that allows usage but not redistribution of said software. This course will not give an introduction to ARM basics. The trainee is required to understand basic ARM assembly. It is not required to have previous experience with ARM64 cpus, because their differences are discussed within the training. There is a short refresher inside the training. Low level ARM CPU knowledge will be helpful, but is not required for this course - part of it will be explained within the course. An Apple Mac Notebook is required in order to run OS X Yosemite and XCode. Training hands-on exercises will be performed on devices provided by Antid0te. It is not required for students to bring their own iOS devices. Every student will be handed an iPod Touch 16GB at the beginning of the training that they will work on - these devices remain the property of Antid0te SG Pte. Ltd.
Students can optionally bring their own iOS device for experiments. But for best results these devices should run an iOS version which has a public jailbreak for it. The training will be held at Novotel Clarke Quay (Singapore). 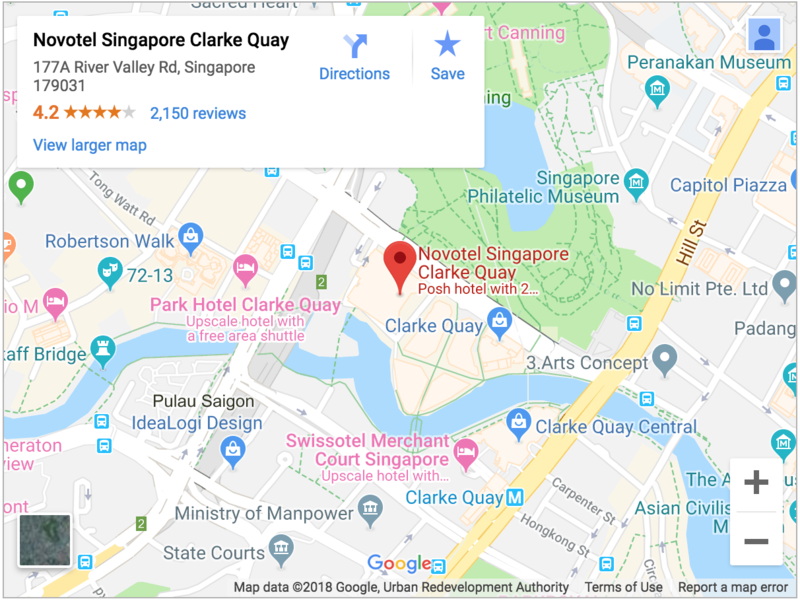 The Novotel is located near Clarke Quay MRT (purple line) and near Fort Canning (downtown line) in Singapore. No special deal has been made with the hotel concerning rooms for the attendees. Attendees are free to choose whatever hotel is nearby. We offer the following rates for this training. The prices are in Singapore Dollars and include 7% GST. The training ticket price include daily lunch, morning and afternoon coffee breaks. If you have further questions about this training please contact us by e-mail training@antid0te-sg.com. If you want to sign up for this training please do this via COSEINC, here. Please notice that signup and billing of the training is performed by COSEINC. Execution of the training however is done by Antid0te SG Pte. Ltd. If you are interested in this training, but want us to perform the training for your people at your office, want to feature our training at your conference or would just like to know if we provide the training again at a later time please contact us by e-mail training@antid0te-sg.com.